Writing maintainable code is hard. It must be understandable, testable and readable. Any one of these can be tricky, and together they seem pretty daunting. Thankfully, Michael Williamson makes it look easy to become a code craftsman. It’s an inescapable fact that writing maintainable code is hard. Most projects end up with code that nobody dares touch, caused by a lack of understanding and a fear of error. Before we think about how to avoid such a mess, we have to consider what we mean by maintainable code. Before we can change any code, we have to understand what the code currently does, and whether it’s supposed to do that. While there are many ways to achieve this, I think one of the best solutions is a comprehensive suite of automated tests. A good suite of tests can serve as documentation, telling you how the code is supposed to behave, as well as making sure that the code actually has that behaviour. Even better, they can give you the confidence that your code still works after you’ve made your changes. Unfortunately, some code is impossible to test, so the first question I’ll try to answer is: how do I write testable code? Even if we have a suite of tests, changing code is difficult if we have no idea how it works. Therefore, the second question is: how do I write clean, understandable code? How do I write testable code? Global, mutable state. In other words, a variable that any code can access, and any code can modify. Constructing, or otherwise acquiring, services, such as database connections, through static methods (a constructor is effectively a static method). Global variables are fine if it’s immutable data. If it’s mutable, then it becomes impossible to consistently set up an identical environment before each test. For instance, say a method uses an incrementing integer to assign unique IDs. Each time we run the method, the assigned ID will be different, making it impossible to test the method with particular IDs. There’s no way to test this class in a unit test – no matter what we do, it will construct an AppointmentBooker, which will connect to the database. We don’t want to have to set up an entire database just to test the logic in this method. Instead, we should ask for an AppointmentBooker in the constructor. There are some frameworks, such as Google Guice for Java or Ninject for C#, that can automate some parts of dependency injection, saving you from death by a thousand news. How do I write clean, understandable code? Optimise for the reader of the code, not the writer. Code is read more than it’s written. If you optimise for the writer, you’ll save a few key presses, but the cost to the reader is confusion, frustration, and subtle (and not-so-subtle) bugs. Don’t repeat yourself (often abbreviated to DRY). It’s easier to maintain code if it only exists in one place, and this also ensures consistency. If code is duplicated, there’s a good chance that you’ll forget to update one of the copies, meaning bugs you fix in one copy will still be there in the other copy. Do the simplest, smallest thing you can do to add some value. If you try and guess how you should try and modify the system for all future requirements, you’re going to get it wrong. Either you’ll end up rewriting the code you never used, or you’ll be stuck with code that sort-of does what you actually want it to do. Spend some time carefully thinking about the names for classes and methods. If you find all of your class names end in Helper, then you might need to spend a bit more time thinking. Thinking up descriptive names is hard, but being unable to think up a good name is sometimes a sign that your class or method does too much, and actually needs splitting up. Don’t use abbreviations. For instance, instead of calling a variable dbc, call it databaseConnection. The exception is when the abbreviation is well-known, for instance, using html as an abbreviation is fine. Good code should be unsurprising. If you find some code that is surprising or “clever”, try to see if you can simplify it, or somehow make it clearer. Each method should operate at one level of abstraction. A method that deals with high-level concepts in your domain shouldn’t be doing complicated string manipulation as well. One style of writing code is to make it read like a newspaper article. From reading that method, you get just enough detail to see how it works. If you want more detail on how it works, you can dive into one of the methods being called. Just like a newspaper article, you should be able to stop reading at any point and have an understanding of the overall picture. If you ever find yourself copy-and-pasting code, then that’s a hint that you should pull out the common functionality of the code. It’s impossible to guess what code you’re going to need in the future, even if you think you have a good grasp of the requirements. By taking small steps, you learn about the problem while solving it. You might notice that always taking small, simple steps doesn’t always lead to readable code without duplication. It’s crucial to remember to refactor your code once it’s working. Once you have code that does what you want in the simplest way, you must then make sure it’s clean code that you’d be happy maintaining. The class is called ArchiveController – what’s in this archive? The variables aren’t named well, for instance, what does ahwpm mean? The logic that reads start-date and end-date from the form is duplicated. What does DateTime on a hat sale represent? There are bits of NHibernate querying and LINQ all on one unreadable line. The method is long, and you feel you have to read the whole thing to begin to understand what’s going on. The method operates at many layers of abstraction – it’s parsing strings, accessing the database, and doing some calculations. Although this code reads much better, it’s not perfect by any means. For instance, it doesn’t obey the Single Responsibility Principle: it deals with everything from parsing HTTP parameters to querying the database. We’ve already pulled this logic into separate methods, so a next step might be to try and pull these methods into separate classes. Regardless of what change you’re making, you should be extremely cautious about changing any code without any tests around it. I’ve talked about how to write maintainable code, but is it the case that we always want maintainable code? Are there not occasions where we need to write a quick piece of code that we’re going to throw away immediately? This logic has one major flaw: our inability to predict the future. What begins as throw-away code can quickly become a vital piece of infrastructure, needing maintenance and extension for years. Even if the code is to be thrown away, the benefits of writing maintainable code can pay off much quicker than you might think. Often, a quick piece of code isn’t so quick after all, and you can easily find yourself surrounded by a baffling labyrinth of code in under a day. Finally, it’s important to have a sense of craftmanship. Through continuous practice we improve the quality of what we write, and form the habit of always writing clean, readable code. 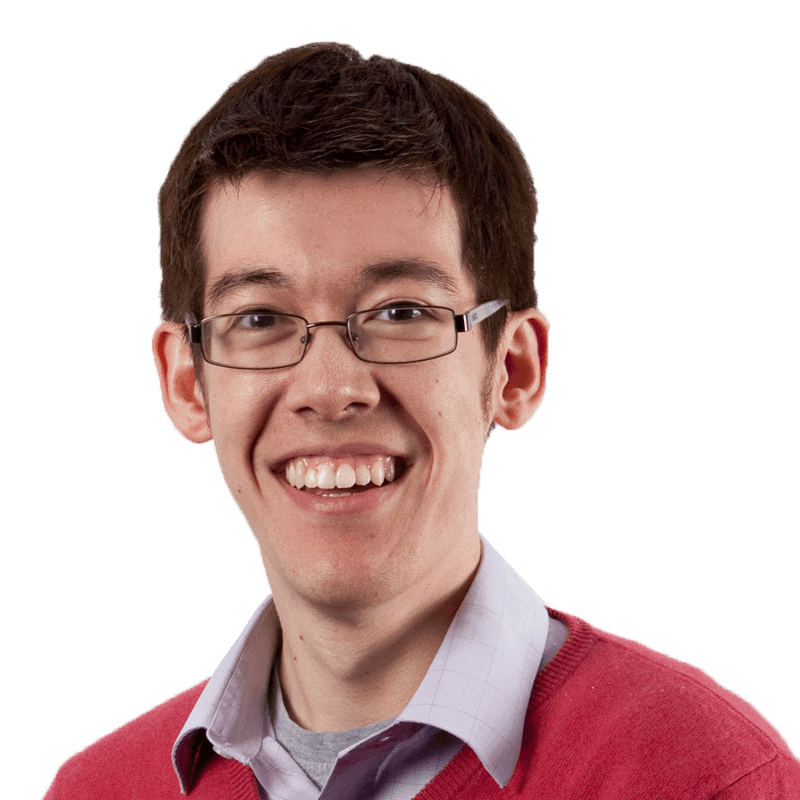 Michael is a software developer who likes to try out different approaches and technologies. He hates inheritance, advocates test-driven development, and thinks that the first three Wallace and Gromit shorts are quite possibly the finest hour and a half of video ever made. He blogs at http://mike.zwobble.org. Thank you for the good post Michael! I like where you’re going. The clarity and readability is very nice. Just a few notes. (1) Is there a reason you’d make the average a nested class and not it’s own stand-alone class? There’s nothing about the summary class that makes it controller-specific. (2) Once the average is it’s own class, I’d probably build an extension method to convert from a collection of hat sales to the monthly average object. Eliminating the unnecessary and excessive use of ‘var’ would be a nice step toward optimizing for the reader rather than the writer. I whole heartedly agree with that last sentence. Thumbs up for your article. I find it best for each line to be prefixed by a comment line which includes the statement number of the code statement. authors have left the project. human and only incidentally by the machine. software is vital to the organization. First, I agree with everything Tim Daly posted above especially the part about the “Why” and the part about Knuth’s idea that code should be written for humans, not machines. I’ll likely be accused of being “old school” and I’ll likely be reprimanded by people who still think it takes too much time but the only way you can explain the “Why” of code is with comments in the code. No one should have to read code to figure out why the code is doing something. Since the “developer” writing the code knows the requirements when actually writing the code, that would be the time to add some comments to the code. The excuse of “it takes too long” is just an excuse because it only takes seconds to write down the thought driving the code. Michael, thank you for the thoughtful and succinct article.. There is no ‘old school’… is Shakespeare considered ‘old school’? I am in a position that I and my team must provide technical support for business critical applications, that have been in existence/use for over 10 years. We spend 80% of our time trying to reverse-engineer the ‘why’ & ‘how’ of our code base. I believe that there is no ‘legacy’ code… if I am supporting 10 year old code, then it is “today’s” code. Our customers would greatly benefit from easily maintainable & testable code (sorry for the -able’s)… and my company would directly reap those benefits with less support cases, more & longer product retention from our customers. @Coders: Demand that you get ‘the Story’ before you start writing code!